Right now, a trade deal is being negotiated between the United States and 11 other countries called the Trans Pacific Partnership, or TPP, that would be the biggest trade deal in history. The agreement was brought to the next level this week, when President Barack Obama signed legislation giving him the authority to "fast-track" the deal. 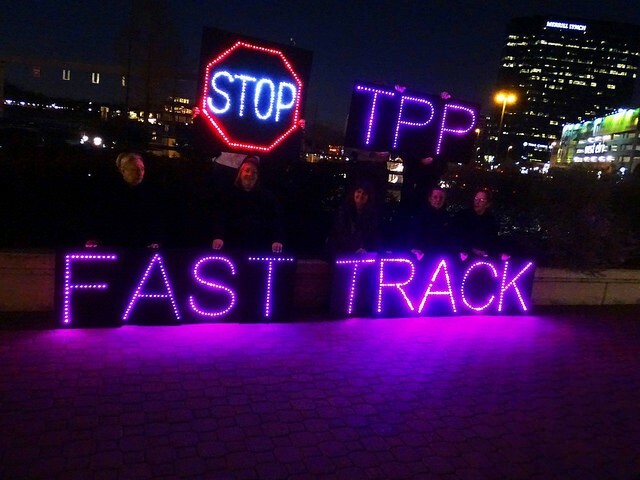 The TPP covers more than just traditional trade issues, like tariffs. According to analysis of draft copies released by Wikileaks, it impacts jobs, access to affordable medicine, food safety, environmental standards, and so much more. To top it all off, it’s being negotiated in secret. The text is unavailable to the public. Worse still, many say those that do have most influence in shaping the pact are giant corporations and big polluters who can manipulate the language to benefit only themselves, not the American people. From the Sierra Club's point of view, the TPP and trade deals like it can cause harmful effects to almost every aspect of our lives -- from our rights to clean air, food and water, to our ability to receive affordable medication, to our very own jobs being sent overseas. Below is a video from the Sierra Club explaining how this trade deal could spell out disaster for the environment and the climate. The Sierra Club is devoted to protecting the planet and the American voice. We believe that we should have the right to know how increased trade will affect our neighborhoods, communities and livelihoods. And we aren’t alone. Other environmental groups, labor unions, consumer safety groups and even celebrities agree that the TPP would be damaging to the American public and are taking a stand against the flawed trade deal. People across the country are saying “NO” to the TPP, so stand with us and have your voice heard -- we need a new model of trade that protects workers and the environment, not more toxic trade.